Can also offer Acrylic:Wool blended yarns spun on worsted spinning system suitable for knitting of sweaters , pullovers , socks tec .Available in colours as well as raw white natural . We are occupied with the preparing of Industrial Polyester Yarn, which is premium in quality are valued by the clients. These yarns are appropriate for woven and additionally sewed textures and are prepared to utilize most present day strategies. We can give these financially savvy yarns in amount as required by the customers. 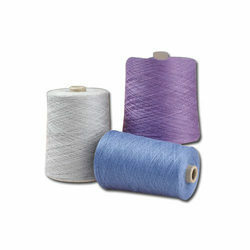 We are one of the providers of an extensive variety of Synthetic Blended Yarns. 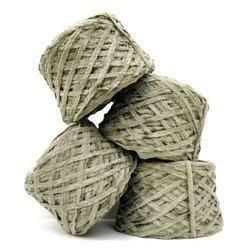 These yarns are utilized for material and by clothiers for the weaving of high caliber. Our yarns are referred to as remarkable elements, for example, stain and wrinkle resistance, phenomenal complete and shading speed and are requested for superb permeableness. Size/Length Ne 6/1 till Ne 60/1 . Also in folded and multi fold . 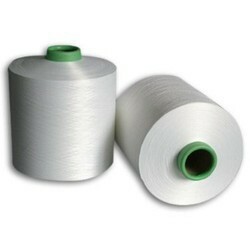 We are widely popular in the industry for our exclusive collection of 100% Polyester Yarn: Ring Spun Polyester / open end. 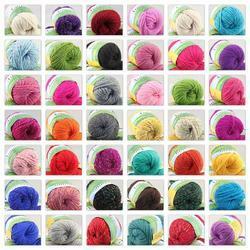 Dexterous professionals spun these yarns using premium quality fiber and advanced technology. As per the different needs of the clients, we provide this premium quality yarn in different shades and colors. 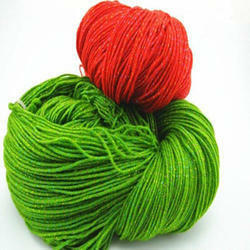 We are engaged in providing an exclusive variety of Bamboo Yarn. Our offered range of these products is manufactured using latest technology based machinery, in adherence with the industry set parameters. Bamboo fiber is naturally anti-bacterial, UV protective, green & biodegradable, breathable & cool, strong, flexible, soft and has a luxurious shiny appearance. Smooth, Soft and Luxurious Feel: Bamboo fiber can be softer even than silk fiber when spun into yarn. It is most prefered for Furnishings , Upholstry , Quilting end use .